My absolute favorite series as a child. One of these days I need to reread it. (ETA: see below.) A bit like Harry Potter, but darker in tone (and of course, Will Stanton predates Harry Potter by decades). A shame that Hollywood's treatment of this classic book was so epically bad. It should be noted that while technically this is book two in the series, the saga really begins here, with Over Sea, Under Stone being a prequel of sorts. I first read this book when I was ten years old, and though I have held it in my heart as one of my favorite books ever, I only just reread it for the first time in decades. Susan Cooper's The Dark Is Rising features Will Stanton, last of the Old Ones (and no, we're not talking about Lovecraft Old Ones). On his eleventh birthday, he learns that he is a being of great power who is prophecied to "bring the circle to a close," ending a cycle of battles between the Light and the Dark that has been waged for thousands of years. Mentoring him in his quest is one of the most ancient and powerful of the Old Ones, a stern yet compassionate old wizard named Merriman. Sound familiar? Yes, perhaps this series was why, many, many years later, I took to Harry Potter despite being long out of the target age range for those books. 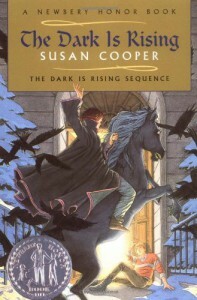 In my opinion, Susan Cooper is an enormously better writer than J.K. Rowling. Whereas Rowling's worldbuilding is a creatively zany hodge-podge of random fairy tales, mythological critters, and pun-Latin spells. Cooper's is a carefully constructed reinterpretation of English myth. There is tons of lore even in the first book, from the obvious Arthurian references to the men out of time cursed to wander the world forever, to the Wild Hunt. And on a prose level, Cooper just writes better than Rowling too. Her imagery and especially her poetry is far more artful. That said, this is ultimately a rather dark and gloomy tale, even if the good guys win; there's very little of the fun and light-heartedness of Harry Potter, no secondary characters who become best friends. Will Stanton's quest is mostly made up of tasks he must perform on his own, and his introduction to magic and the power of the Old Ones is not an entrance into a fantastic world of wizardry, but the realization that he's now an eternal warrior whether he likes it or not, and he's also been forever set apart from his family and everyone else he knows. For a book targeted at young readers, it's pretty heavy stuff. There is of course not much direct violence (though there is death), and the good guys are always good, the bad guys unambiguously bad. (Though one character, a traitor who turned to the Dark, is as tragic a figure as Gollum, and far more sympathetic.) But this isn't fun times with wands and owls. It's freezing storms blanketing all of England and sinister rooks and as much scary stuff as you can throw at a preternaturally-aged eleven-year-old boy. I really liked The Dark is Rising upon rereading it, though to be honest, I would probably rate it only 4 stars if it were my first time reading it. While in my opinion a better work of literature than most juvenile fiction, including that really famous one with the Johnny-come-lately boy wizard, it does lack that indefinable quality of joy and fun that I guess made J.K. Rowling the richest woman in England and not Susan Cooper. It's really a classic of children's fantasy literature, though. I will continue my reread of this series. 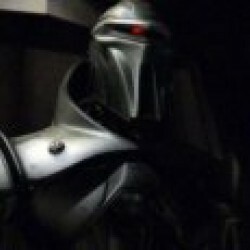 Warning: A few years ago, Hollywood made a movie called Seeker: The Dark is Rising. Do not see this movie! It is awful. I cannot describe how awful it is. Even aside from the book it's supposedly based on, it's just terrible and brainless (one of my few 1-star ratings on Netflix), but when compared with Susan Cooper's book, it is truly painful to watch. Susan Cooper deserved the J.K. Rowling treatment, and what she got was a dumbed-down Americanized piece of crap that bombed, deservedly, at the box office.